Originally founded by brothers Mike and Richard Knight in the 1960s, the school's Volant competition produced a generation of French talents including four-time world champion Alain Prost and 30 Formula 1 drivers in all, among them 1996 world champion Damon Hill. It was revived in 2016 by former Renault F1 marketing heads Fred Garcia and Anne-Charlotte Remy and staged the relaunched Volant for the first time last year, with Brazilian teenager Caio Collet taking the spoils. Collet, who is managed by Nicolas Todt, went on to dominate the 2018 French F4 title and signed for the Renault Sport Academy earlier this week. The Volant is open to drivers aged 14 to 17 years old who do not have a full single-seater season's experience, and involves a series of activities from February 23-25 designed to assist in the young drivers development. Successful applicants will receive media training, mental preparation, as well as physical assessment and preparation, nutrition classes and work with engineers to improve their understanding of the dynamics of a car and tyres. Exercises will also involve 200 miles of track time in Mygale-Renault F4 cars identical to those used in French F4, with the Volant winner chosen from the best three students after a shootout on February 25. 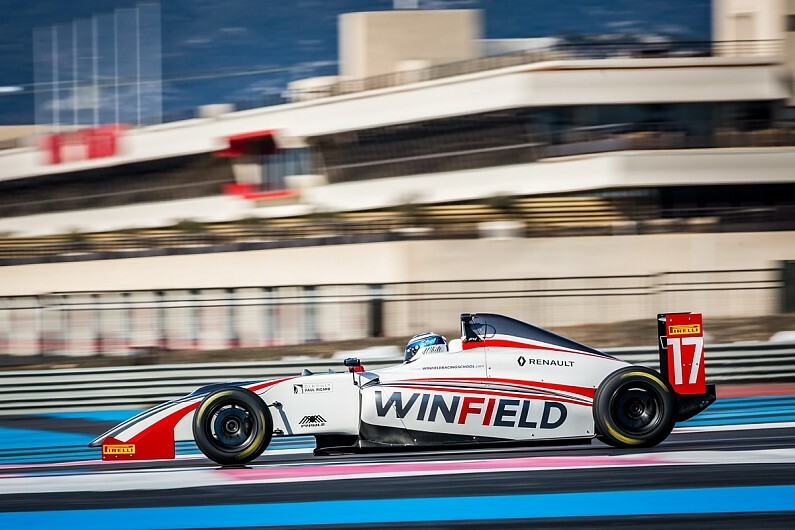 "Thanks to the Winfield Volant, we enable young people to show their talent and help them launch their careers in the world of motorsport," says Garcia, president of the Winfield Group. "The case of Caio is a perfect example of our commitment. "After winning the Volant, then the French F4 Championship, Caio is now a member of a young driver scheme of a manufacturer involved in F1." Prospective entrants can request an application form from volant@winfieldracingschool.com. Applications close on Wednesday, 30th January.